The best apartment finding agency in New York. New York City certainly doesn’t suffer from a shortage of hotels, but for longer stays, they can be prohibitively expensive, especially for senior staff who may have higher standards. Staying for 30 days or longer can be pricey, so many companies and vacationers turn to real estate agents for short-term apartment rentals. Unfortunately, these properties are typically not located in ideal neighborhoods and may come with only limited amenities and furnishings. 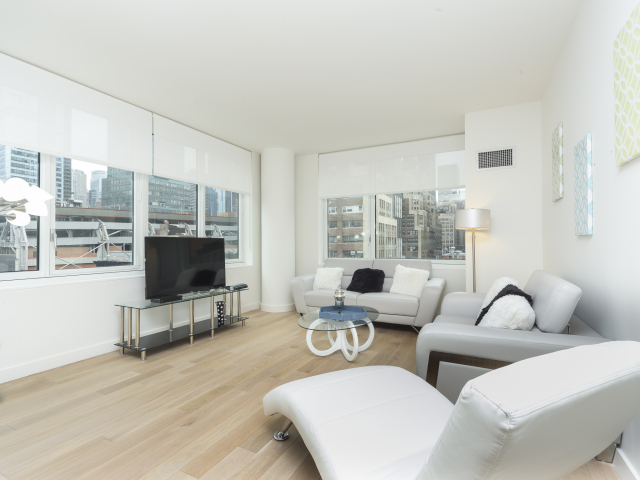 Corporate Habitat's properties combine the best of a private New York luxury apartment with the exceptional service you would expect at one of the city's finest hotels, with all utilities, wireless internet, and cable TV included. Many locations even include optional weekly maid service and in-unit washers and dryers, creating an exceptional experience for business travelers and upscale travelers alike. Renting an apartment through a real estate agent can have unpredictable results because they service a variety of markets. Corporate Habitat only acquires apartments that meet their high standards, so you can be certain you won't be disappointed. Visit their website to browse their beautiful selection of apartments now and make a reservation, or call (212) 242-4108 with any questions.